Dallas Dean is a member of the firm’s transactional team. His developing practice includes estate planning, tax planning, probate, trust administration, business law, and real estate transactions. Mr. Dean earned a B.A. in English Literature from the University of Utah, and a J.D. from Brigham Young University where he focused on tax law. During law school Mr. Dean worked with the United Way as a supervisor of their Volunteer Income Tax Assistance program. Mr. Dean also earned an L.L.M. in Taxation from the University of San Francisco. He spent four years working for Andersen Tax in San Francisco where he specialized in Personal Client Services advising high net worth individuals regarding income and transfer tax compliance. 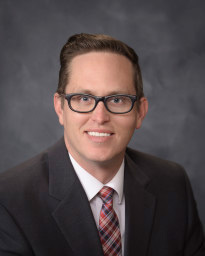 Mr. Dean also gained experience volunteering at the United States Tax Court in Washington, D.C. and the Probate Department of the Superior Court of California in San Mateo County.